Asilah, situated on the coast of the Atlantic Ocean may be Morocco’s best well-kept secret. Located southeast of Tangier and Tetouan, the casual visitor to Asilah will find it laid-back and a relaxing place to visit. The beauty of this town is its white and blue walls enclosed by defensive walls built by the Portuguese in the 15th century. Inside these walls you will find a city washed in white and blue, famous for its artwork and its beaches. 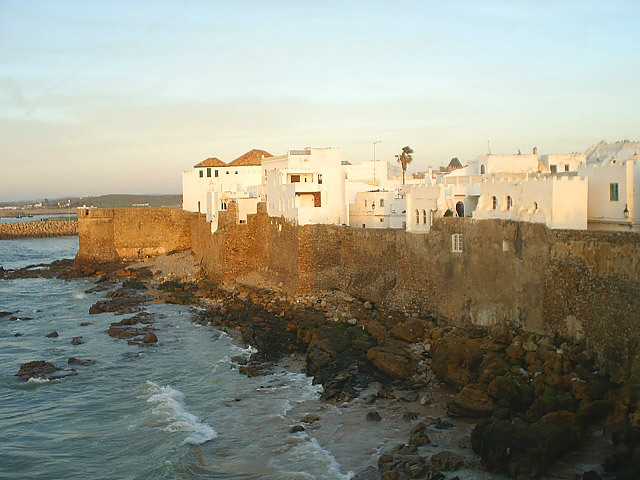 Asilah has a rich past which includes being a trading port for the Phoenicians. The town was later under siege and captured by the Romans, the Byzantines and the Carpathians. 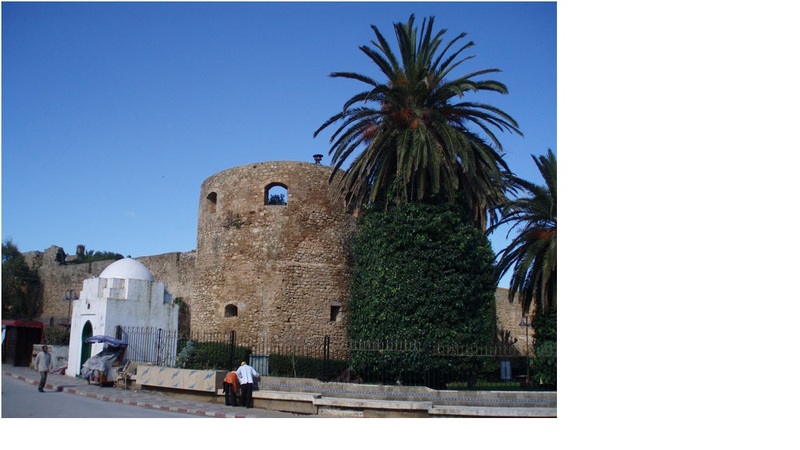 In later centuries, the Arabs invaded the town during the 9th century and by 1471, the Portuguese took control of the town, thus building the fortified walls around the city. Today, Asilah is not only popular with tourists coming in via ferry from Spain but it is also highly popular for its art and music and is host to an annual art festival, “The International Festival of Asilah” held during the summer month of August. Asilah is best visited during the summer months, as it can get very cold during the winter months, especially being so close to the ocean. Morocco Why Not highly recommends taking a visit to Asilah on day trips or to recuperate after your trips in the larger cities in Morocco. We know you will have fun in Asilah and we can arrange your transportation to Asilah for a day trip or, as you like, a few nights to spend in the town. 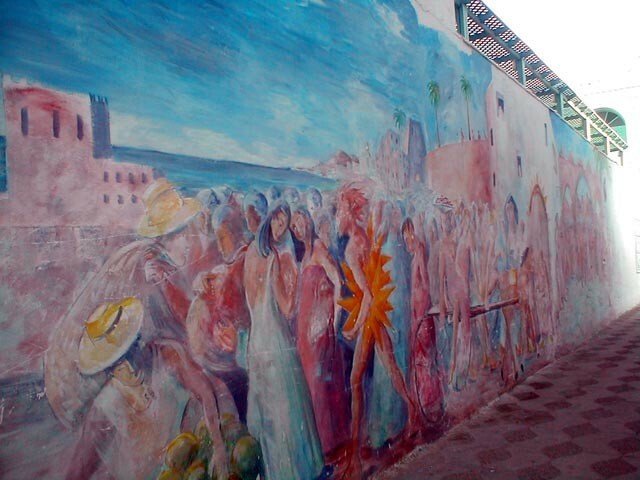 Each August, the International Festival of Asilah that transforms the whitewashed walls of the medina into an artist’s mural. The Medina of Asilah is smaller and prices there are not outrageous and the town itself is a great place for exploring on day trips. The ramparts of the medina were built by the Portuguese during the 15th century. The medina is built right up against the sea and is protected by a seawall, which gives a beautiful panoramic view. Paradise Beach! The drive to Paradise Beach itself is a little bit of an adventure and I will so no more! Take your pick in some of the best and reasonably priced restaurants that specializes in seafood. Hotels are reasonably priced, which is an attraction for the budgeted-traveler. Just getting around Asilah makes it fun and unique. There is no need for a car to take you around, as you can walk from one end of the town to the other. So, why not get off the beaten path and visit Asilah?